Hey, Motorola, got any plans outside of the Moto G (3rd gen) tomorrow? Hope so! Thanks to another premature leak by another wireless carrier outside of the US, we know even more about Motorola’s new mid-range offering. 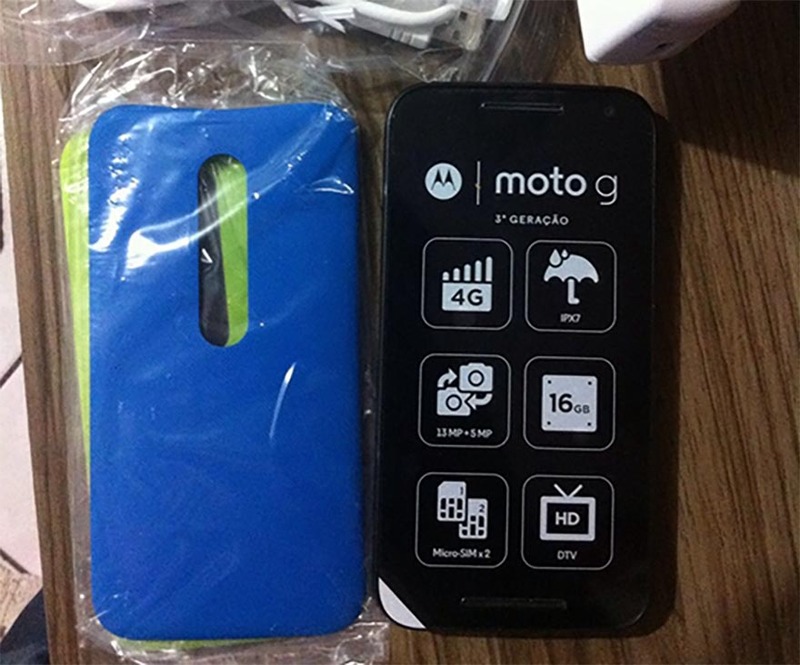 Through an unofficial unboxing of sorts, we get a look at the new Moto G’s box, swappable back covers, and front sticker (with specs). From the images we have included in this post, we are getting additional confirmations that that the Moto G (3rd gen) will be IPX7 waterproof, come equipped with 4G (hoping that means LTE), 16GB of storage (8GB likely too), 13MP/5MP camera combo, 5″ HD display with Gorilla Glass, 1.4GHz quad-core processor, and dual SIM slots in some countries. It sounds like a nicely upgraded Moto G. Assuming Motorola does keep that $179 price point we exclusively reported last week, this should be another success story for Motorola globally, in emerging markets. The expectation is that Motorola will unveil this phone tomorrow, along with Moto Maker access in select countries, but also make it available immediately.